Easter Sunday is a day when many stores shut their doors or close early to allow employees to spend time with their friends and families. 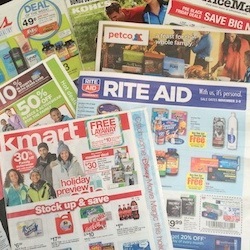 A last minute run to the store can lead to frustration if a store is closed. 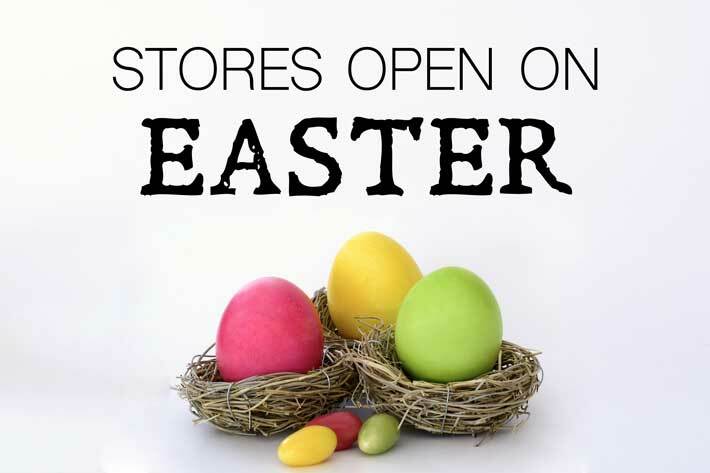 To help plan your grocery trips, entertainment, and retail shopping needs, we have complied a list of stores open on Easter. Easter is a religious holiday celebrating the resurrection of Jesus Christ. It is a major holiday for Christians as well as other families across the nation who celebrate a visit from the Easter bunny. On Easter many retail stores close their doors to allow their employees to celebrate with their families. Other stores will just close early on Easter which occurs on a Sunday in either March or April. Grocery Stores – Most will close early. Movie Theater -Typically movie theaters are open all day for you and your family to catch that new movie. Shopping Malls – Most malls will close on Easter Sunday, which also means popular stores like JCPenney, Macy’s, Nordstrom, Dillards, Old Navy, American Eagle, Victoria’s Secret, Gap, Express and other mall retailers will also be closed. Drug Stores – CVS, Walgreens, Rite Aid will be open, some may have limited hours. Popular Stores – Walmart will be open, but surprisingly popular stores such as COSTCO, Target and Kohl’s will close for Easter day. Check with your local store for hours before you go out shopping on Easter Sunday. If your favorite store is closed you can always head to church or out to an easter egg hunt. In addition to many retail stores being closed, you can also expect banks, the post office, DMV, schools, libraries, and government offices to be closed as well. This is due to the holiday always occurring on a Sunday and these types of businesses are always closed on Sundays. In addition, the mail, UPS and FedEx will not deliver on the holiday, which includes home pickup. Even though many stores are closed, Easter is not considered a federal holiday due to separation of church and state. Generally religious observances are not celebrated as federal holidays in the United States, with the exception of Christmas due to its secular and commercial appeal.